Now that he’s nearly twenty, David sets out on a journey to meet his birthparents in this 30-minute documentary which is currently available on YouTube. David’s adoptive parents support him emotionally on this journey; he reveals that he has tried to be conscientious of their feelings by not expressing much of his thoughts about his birth parents, and his adoptive parents assure David that they are not hurt by his curiosity about his birth parents. They take this journey with him. 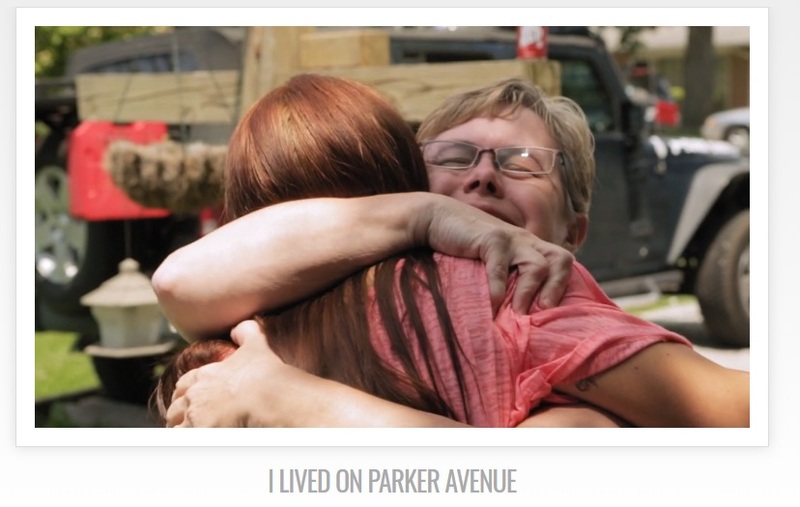 I Lived On Parker Avenue is an impressively wide-scoped documentary. We hear about the adoption from each of David’s birth parents and from his adoptive parents. David’s birth mother is pained to share that she almost had an abortion, but that at the last minute she declined; she has carried guilt from that experience for much of her adult life, and appears relieved when David tells her that he does not hate her for that – but in fact, loves her. It is important to point out that the theme of her almost having an abortion plays a large theme in the film; she revists the building with David, and he thanks her for not having an abortion. She is often tearful. The film does have the potential to be triggering for people who regret having had an abortion or who have dealt with infertility. David's mother decribes the adoption as bittersweet, acknowledging that letting David be adopted was hard for her, because she wanted to keep him. I loved her phrasing, “I did the right thing for him – not for myself.” David expresses that he was never upset about being adopted, but that he wondered if his birth parents ever thought about him. David’s birth father expresses happiness in seeing that David shares appearance and personality with him. 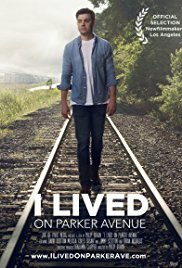 I appreciated the honesty in the documentary – David shares his fears that his birth parents won’t fit into his life; David’s birth parents share their anxieties; David’s adoptive parents share the grief that they experienced prior to choosing adoption, but in spite of this, they have a supportive reunion. I Lived on Parker Avenue has our high recommendation for adoptive parents and for people considering becoming adoptive parents. It's focus on abortion could be unsettling for some viewers and welcome for others. Apart from this, though, the film is also one of the more successful adoption documentaries in its inclusion of so many perspectives of the people in David's adoptive and birth families. As you watch this film, consider the ways in which reunion can be helpful for everyone touched by adoption. Do David’s birth parents conform to or challenge your preconceptions about birth parents? What benefits could an open adoption have for your children? While I love all adoption stories, I did not expect to watch what appeared to be an anti-abortion film. I understand the families views on the topic given their story, however their story is similar to mine and I still choose to support a women's right to choose. I adopted my son. His mother also wanted to have an abortion, but it turned out she was too far along when she learned she was pregnant and could not legally have one. This does not change my view on abortion, even though her right to choose (if she had known earlier of her pregnancy) would mean me not having my son. I enjoyed watching this film, but would have liked a little warning about the large focus on abortion. And from the comments on the youtube page it would appear that the goal of the film is to raise awareness around abortion in a way that shows it negatively. So even though it is a lovely story about a young man getting to know his birth family, it appears as though they are using to try and influence people to consider not supporting abortion. Totally fine with this, as it is their right to hold that opinion - especially with their story, even though it is so similar to mine - but again, if the motive is to tell an anti abortion story I would have liked a warning that it played such a central role first. I still would have watched it, especially due to my own story, but I wouldn't have had to cringe so much as the purpose of the film became apparent to me. Thanks so much for sharing your perspective on this one, and for sharing your own story, as well. Also, thanks for your measured approach - I really do appreciate that. I'm sorry that my review didn't make it clear how central the theme of abortion seems to be; I've tried to expand the review to give a more thorough overview on the film's focus on abortion. Your comment has me reflecting on the film again. It really does seem to be focused on the abortion issue, but at the same time it's also one of the few adoption documentaries that include birth mother and birth father perspectives and reunions. I hope I've done a better job at communicating this all in my current revision of the review. Thanks again for commenting!